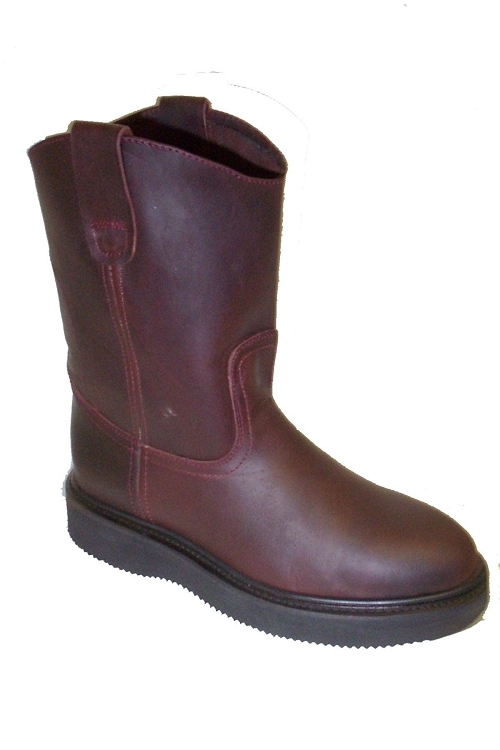 Dark burgundy roper work boot. Leather foot and upper. Burgundy one piece crape outsole. Every boot is handmade with quality leather.